The fifties were a strange time in the history of comics. WWII was several years removed and without the threat of the evil axis powers a lot of superheroes began to feel irrelevant. So as the popularity of costumed do-gooders was waning comic companies scrambled to come up with concepts that would appeal to this new generation of comic readers. Along came westerns, sci-fi, horror, humor and romance trampling over the once sacred superhero. Sure, DC kept plugging along with its main core of heroes but this era brought a whole different vibe and it was reflected in the covers. The quality of the art was making leaps and bounds, thanks mainly to Bill Gaines’ EC line, and illustrative pizazz and photo covers seemed to be replacing superhero dynamics to a large degree. That is something you will probably notice in my top 10 covers from this era. But first the notable omissions. Showcase #4: The most important comic of the decade and the start of the sliver age of comics….well drawn but boring cover. Ghost Rider #1: Fantastic design but the horse and foreground Indians don’t do it for me. 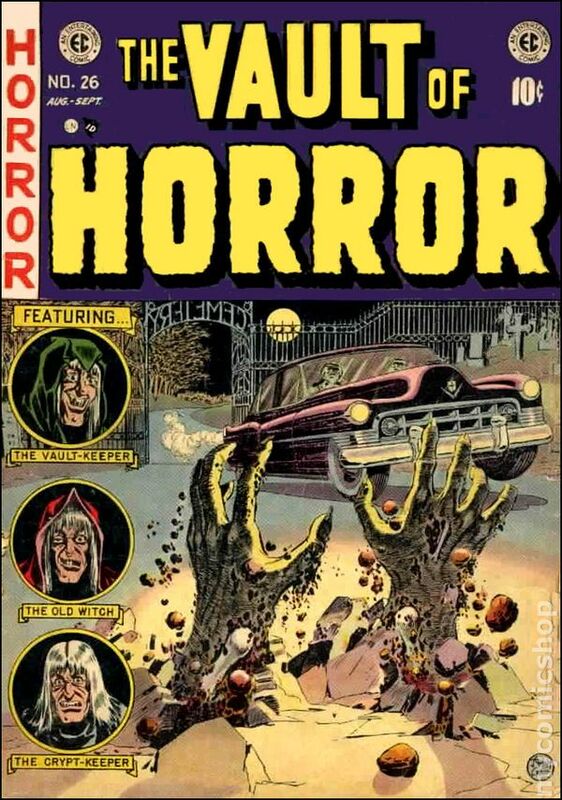 Mad #2: Great Jack Davis cover that would have made a top 15 list. Bullseye #1: Absolutely great Jack Kirby cover but both of my kids hate it. What am I missing here? 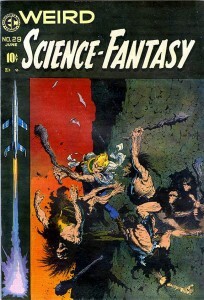 Every Frank Frazetta cover that I didn’t pick. Okay, okay….on with the list. Holy mature readers, Batman! Any kid who bought this off the news stand must have thought he was getting away with something. I have never seen the inside of this book but I can only imagine the debauchery depicted inside! If memory serves this photo was lifted off a paperback digest from 1941 entitled “House of Fury” and it may be the most famous photo cover in the history of comics. It’s lewd, enticing, a little bit scary and completely inappropriate. 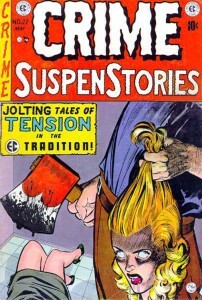 And you’re wondering why the comics code authority came about? Exploitation at its pinnacle. Reform School Girl #1. 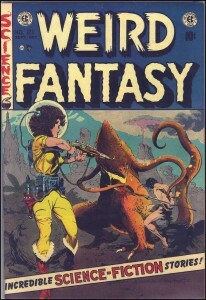 Wally Wood was just hitting his stride when this came out. Not only is this a great drawing but the design with the huge Fu Manchu head really makes this stand out. 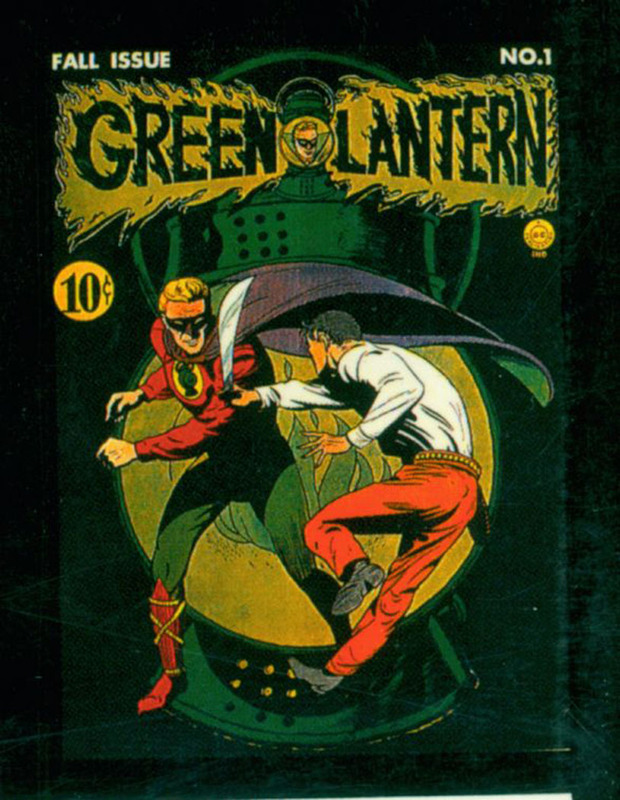 I actually own this comic and it is one that I sought after for years because I was so taken with art on the cover after seeing it in one of Overstreet’s early price guides. The great bonus is that Wood did the inside art as well! 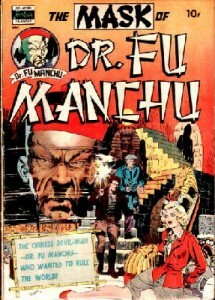 The Mask of Dr. Fu Manchu #1. This may be the most horrifying cover in the history of comics. It’s amazing this actually got approved and published. Obviously, Bill Gaines published this before he had children. But still the design and execution (pardon the pun) by Johnny Craig is ghoulishly superb. Crime Suspense #22. 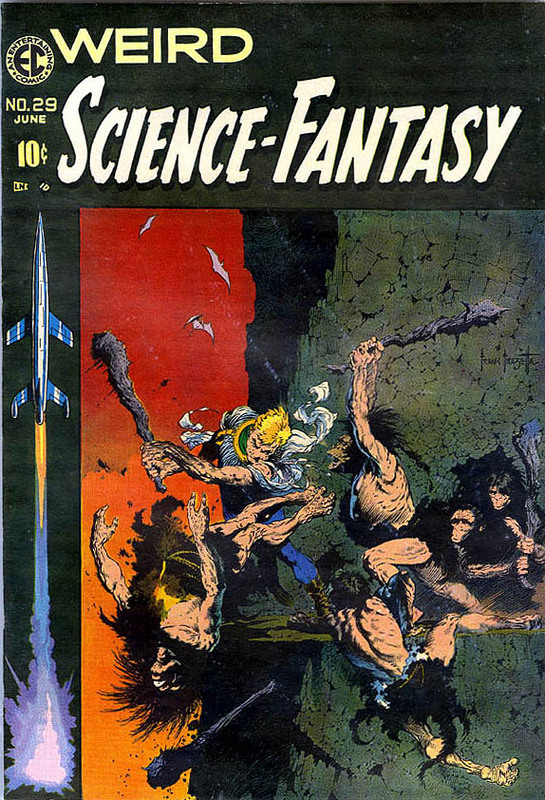 This was originally slated to be one of Frazetta’s Buck Rogers covers. It never got used for that so a quick fix changing the guy with the club from Buck Rogers to..well, a guy with a club and viola! Instant classic. The draftsmanship and detail in this piece is just silly it’s so good. Not to mention the great composition and design. It’s really more of a great illustration than a comic cover. 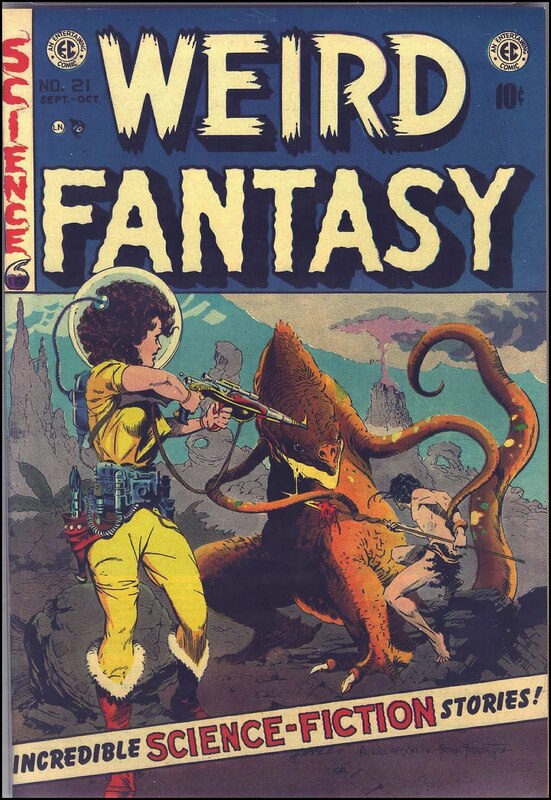 Weird Science Fantasy #29. I didn’t really want to put this one on this list because it is just such a “who cares?” comic but the underrated George Evans would not let me walk away from this. So dark and dramatic and so well drawn. And there’s a big shark in it! I almost stole this one off the wall at CrossGen comics! Piracy #7. 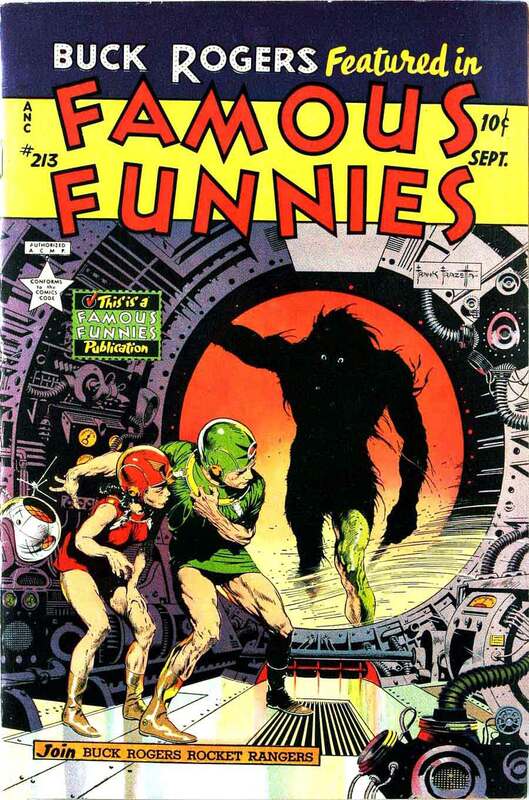 The eight Buck Rogers covers that Frank Frazetta did for Famous Funnies could all be on this list but that would make a boring list. I know taking all eight and giving them just one spot is kind of cheating and is like giving someone an academy award for a body of work instead of for one great performance. So I am going to go with this one, knowing full well that it represents the greatness of all of them. This has cool machinery, great figure work and a great use of shadow to hide the ominous and threatening creature. Famous Funnies #213. Two menacing monster hands ripping up through the pavement to stop an oncoming car? It’s either a B movie poster or an EC comic. Score another one for Bill Gaines and company. This is startling and instantly iconic. 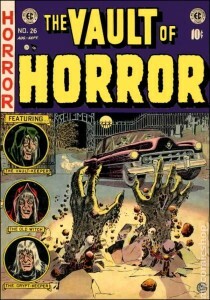 Vault of Horror #26. This classic Jack Kirby cover really freaked me out when I saw it showcased in an Overstreet price guide when I was a kid. It immediately takes the romanticism out of war. A strong powerful image that contrasts so nicely with the soldier’s hand written letter. Great impact. Foxhole #1. This decade was really hard to choose just 10 covers because there was so much quality non-superhero art being created. So I am sure there are more than a few covers that should have made this list but didn’t. Oh well, sue me. What’s the easiest way to tick some one off? Do a top 10 list…..of anything! Someone’s favorite is inevitably going to be left off the list which will raise their ire and invoke a furious response. Then why do a top ten list at all? Because it’s so much fun, that’s why! And it challenges whoever (in this case me) is doing the list to really take a critical look at something (in this case comic book covers) and define intelligent and thoughtful criteria for critical analysis. So what is my criteria? First (it’s always first with me) draftsmanship or how well is it drawn. Second, how good is the design or concept and how well is it executed. I did take into account the impact of the subject matter for the time it was created but not retrospectively. 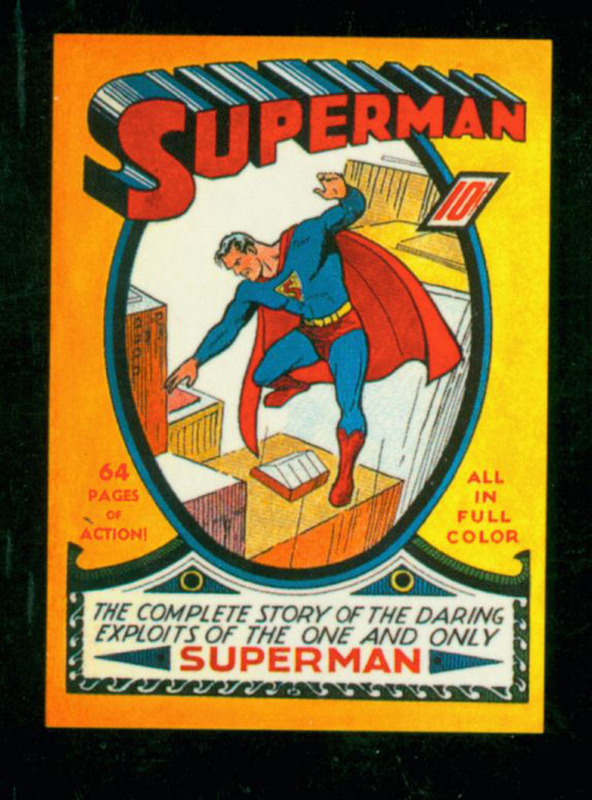 In other words, Action Comics #1 is probably considered the most important comic of all time because it was the first appearance of Superman and started the superhero phenomenon. However, that doesn’t mean it had a great cover. Just because something is first doesn’t mean it was the best. Now after that statement you are no doubt asking what makes me qualified to make this list? I have a computer and I am connected to the internet, duh! (also I have been a professional comic book artist for 25 years and an avid collector for 40 years). Originally I wanted to just do an all time top 10 list but after delving into it, I realized there was just too many good pieces of work out there. So I made my life easier by doing top 10 lists by decades (or so). Now it was hard enough to pick 10 covers over this first 12 year span let alone put them in order. So I am listing these in no particular order or rank. These are just the 10 best covers…in my opinion, of course,…but opinion that I am willing to defend. Let’s first get out of the way the obvious omissions. No I did not overlook these books but I could just not squeeze them in to my top 10. Start yelling at me now. Action Comics #1:(you probably saw this one coming) this may be an iconic cover but not because it’s good. All-American #16: An important comic and a nice cover and also iconic but not great execution. 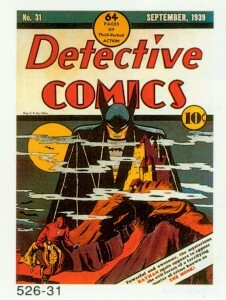 Detective #27: This is the first appearance of a major character, Batman, dull and uninspired. Marvel Comics #1: gag. Marvel Comics #9: I like this one a lot but not good enough for top 10. Superman #14: This one really stands out from a lengthy run of dull Superman covers but I couldn’t quite squeeze it in. 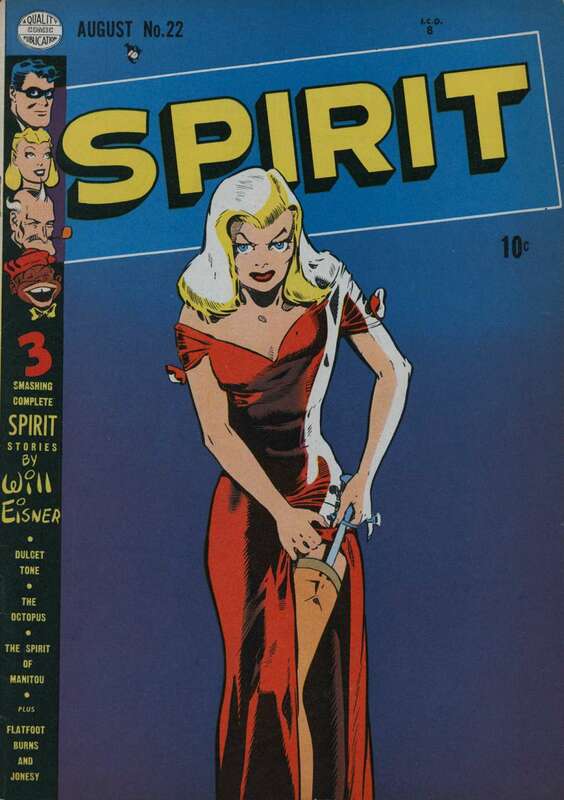 Other ones of note include, Shadow Comics #4 (really close), Master Comics #21, Sensation Comics #1, Whiz Comics #1 (way better drawn then Action #1 but still not there for me), National Comics #21 (great Lou Fine image) and Whiz Comics #22 (starting to feel guilty I left this one off). So let’s quit talking about the losers and get to the winners. Detective #31. Are you kidding me? Not only is this probably the best cover of the golden age it may be the best cover of all time. Great design and execution. This should have been the cover to Detective #27. Did Bob Kane really draw this? Whoever did gets a pat on the back. Okay, I may have dissed Action Comics #1 but I am not going to leave Superman out. 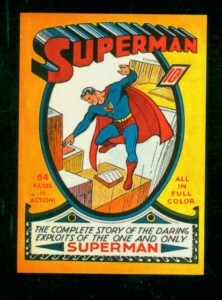 Superman #1. Great design, great pose, nice figure work. This should have been the cover to Action #1. 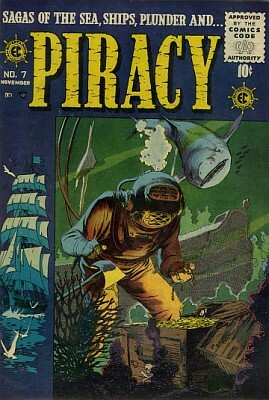 As great as Alex Schomburg was, all of his covers looked the same. High energy and super busy. It was almost impossible to differentiate one from another, except this one. It was a stroke of genius to make Cap, the Human Torch and Sub-Mariner giants compared to the whimpy little Nazi’s they were thrashing. Strong figure work and design….just awesome and possibly my favorite golden age cover. 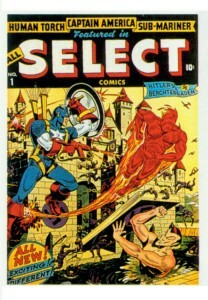 All- Select #1. Honestly, do you have to ask? How many little boys brought this home and got in serious trouble from their mothers? Wildly inappropriate but so well drawn and executed by the very talented Matt Baker. I wouldn’t let my kids read it but you can’t deny the quality or the impact, good or bad. 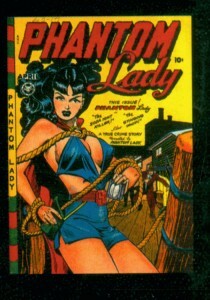 Phantom Lady #17. 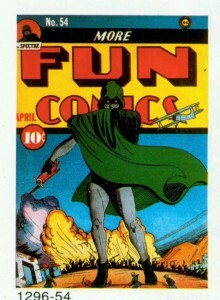 How was this cover not the first appearance of the Spectre?! (his first appearance was in More Fun Comics #52 and the cover is lame). 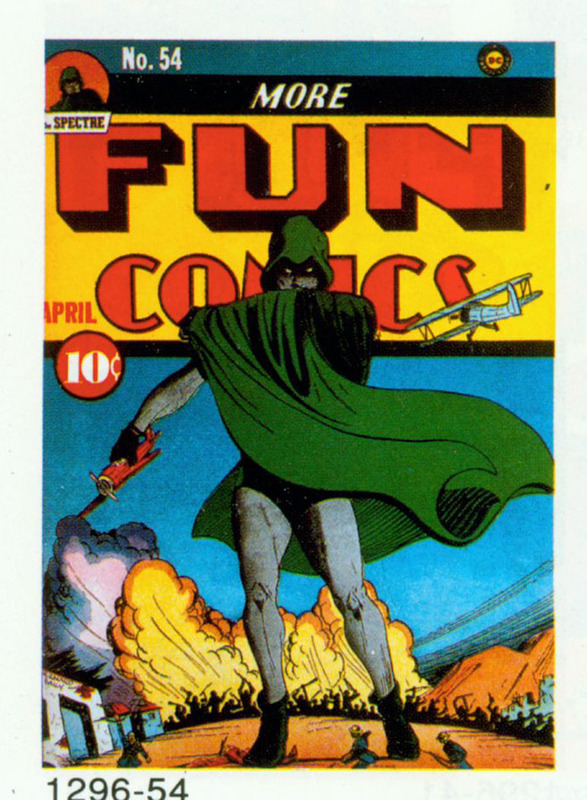 Giant, well-drawn spooky figure of the Spectre. I’d buy a poster of this. More Fun Comics #54. The all black background might be the strongest part of this cover but the design is simple and very effective. I also think the figure work on the Green Lantern is really nice. The bad guy in foreground is not as good but whose looking at him anyway? Green Lantern #1. Now we get to look at one of my all time favorite covers and one that I actually own. It took me over 20 years of serious looking to find a copy of this for sale. Which means I am not the only one who appreciates this superb image. 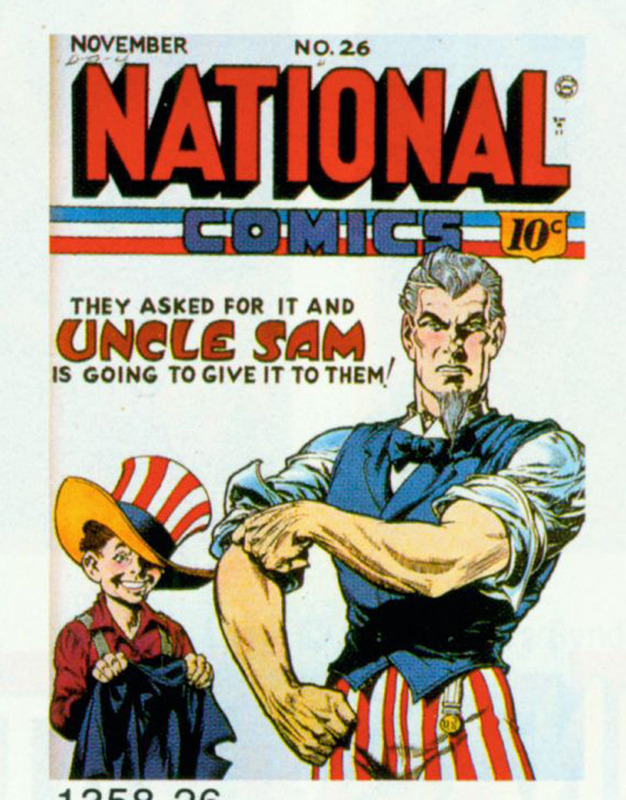 First of all it is drawn by the great Reed Crandall who was easily one of the best draftsman of the golden age; combine that with the an immediately iconic image of Uncle Sam rolling up his sleeve and you have instant gold! The stark white background is also very effective in keeping your eye on the central image. National Comics #26. PIcking only one Mac Raboy cover is almost a crime in and of itself. Reed Crandall is the only golden age artist who could come close to the natural drawing ability of Raboy. 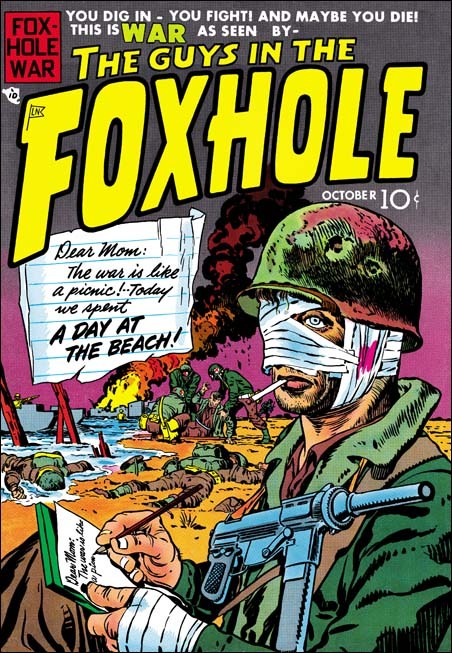 He has several covers that are considered “classic” by comic historians and collectors and for good reason. 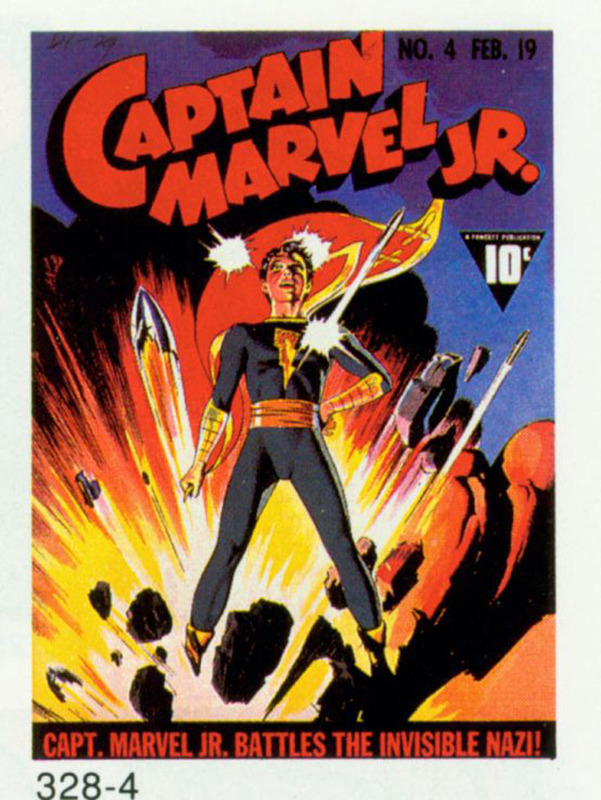 I wanted to stick Captain Marvel Jr. #10 in here just because the drawing of Hitler is so good even though the cover design is not very inspired. I finally decided on this image as his best cover but I could easily swap this one out for a half dozen others he did without much resistance. Again, I think the superior figure execution and the simple but powerful design makes this an all time winner. 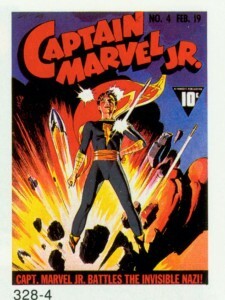 Captain Marvel Jr. #4. 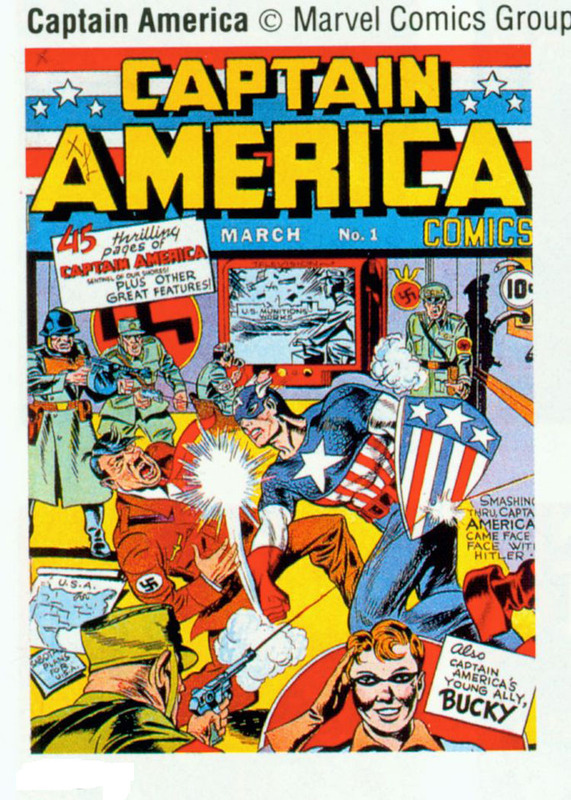 This is probably the best conceptualized and executed Hitler cover of the Golden Age. 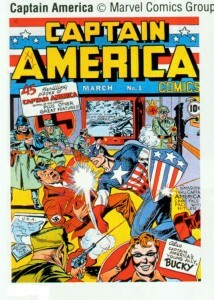 It features the first appearance of a major character, Captain America, and it introduces him with a bang. Not to mention a pretty solid drawing by a young Jack Kirby. What kid would not have wanted to buy this comic when it hit the stands? 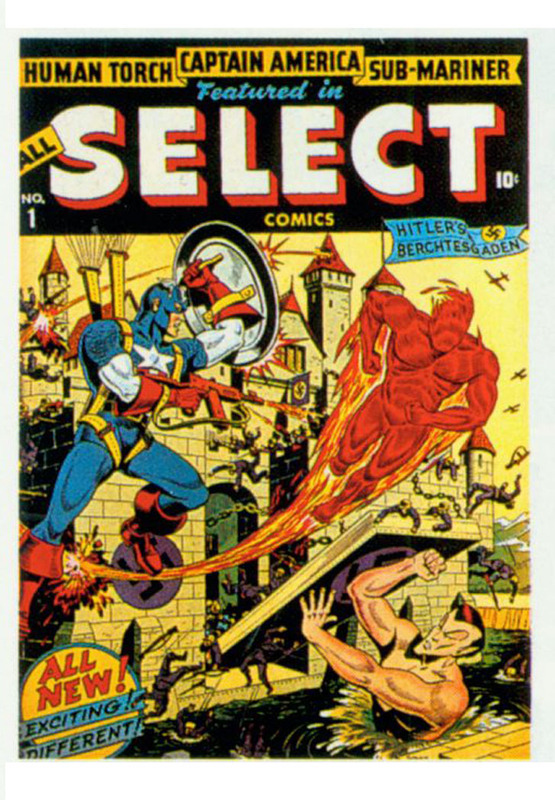 In fact, if a benevolent comic dealer offered me one golden age comic to have and to hold, it would be this one. Captain America #1. The last one on this list features artwork by another gifted artist of the golden age, C.C. Beck. Like Raboy and Crandall, Beck could really draw circles around most of his contemporaries. The pose and figure drawing on this cover are just so good. Line up a bunch of Whiz Comics and inevitably your eye will stop on this one. That has to mean something. 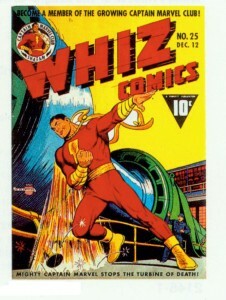 Whiz Comics #25. Well, that’s my first top ten list. Let the complaining and arguing begin in earnest. At least until I hit the next decade of covers!